Directions & Questions: 1) Complete the following statement: If a transversal intersects 2 ________________ ______________, then corresponding angles are _____________________. 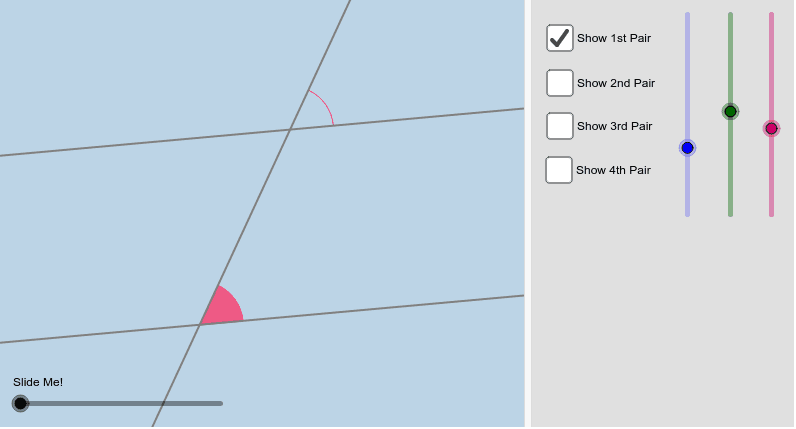 2) If the pink angle above measures 52 degrees, what would the measure of its corresponding angle be? What would the measure of the gray angle be? 3) As you moved the slider, what transformation took place? Introduction to the gradient of a curve.